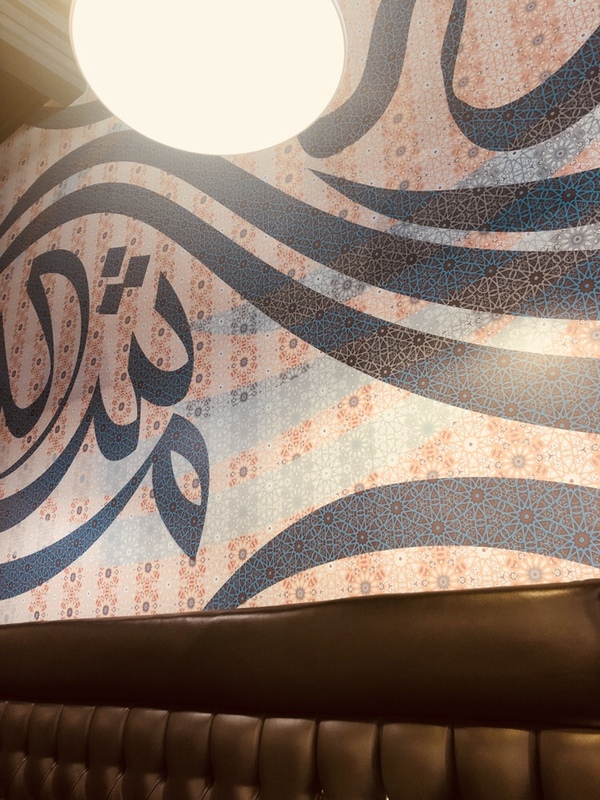 I can’t say I’ve ever truly tried proper Lebanese (or even generically Arabic) food before, having not visited the region, nor particularly visited restaurants that were owned, or themed, to serve Arabic food. I’m not sure why because I do enjoy a lot of the food I’ve tried since, and Bakchich is no exception. 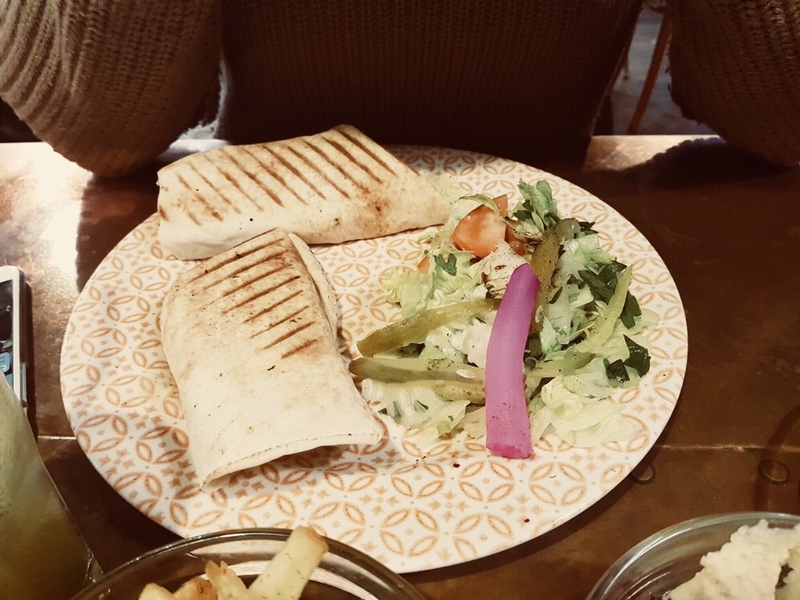 Inside it looks somewhere between a Lebanese-style diner and a takeaway, and the atmosphere when you walk in is friendly, casual, and no fuss. The customer service is brilliant and welcoming and there’s no sense of pretence or unnecessary ceremony to the food. It’s just good, tasty food served when it’s ready and there’s a real sense of no nonsense about the place’s feel. Having been there at mid-morning and mid-afternoon for breakfast and dinner respectively, I feel well placed to comment on both the menus on offer. 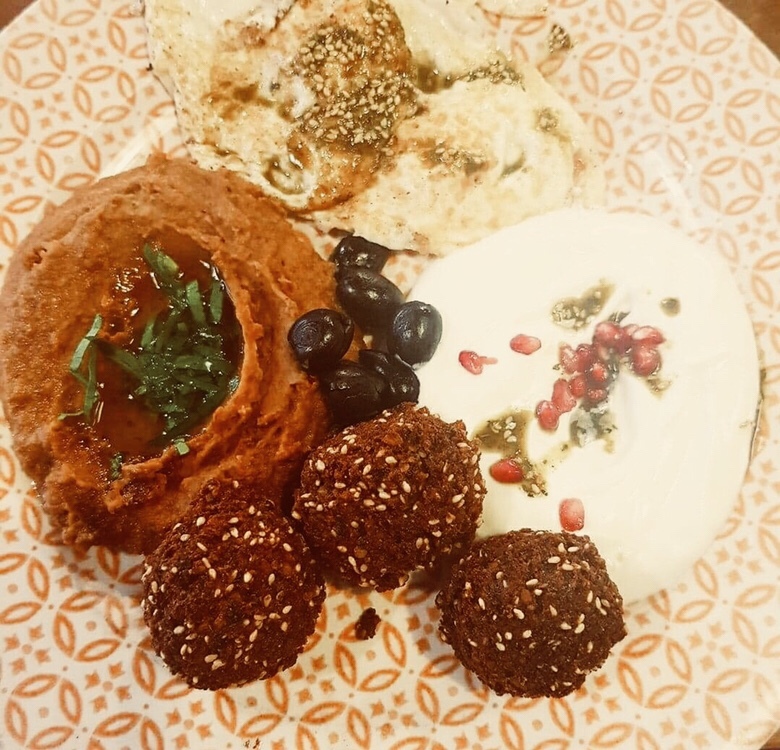 The breakfast menu is served until 12pm and is wonderful, featuring everything from organic greek yoghurt and accompaniments and three egg omelettes to breakfast wraps and Lebanese flat bread pizza. My personal favourite has quickly become the Shakshouka (something I’ve had at home too without realising that’s what it was! ), a dish of tomatoes, onions, garlic, parsley, and baked eggs, served with Arabic bread. It’s a hearty breakfast food and certainly very filling. It has even persuaded egg-reluctant me to embrace the humble egg and enjoy dishes featuring it! 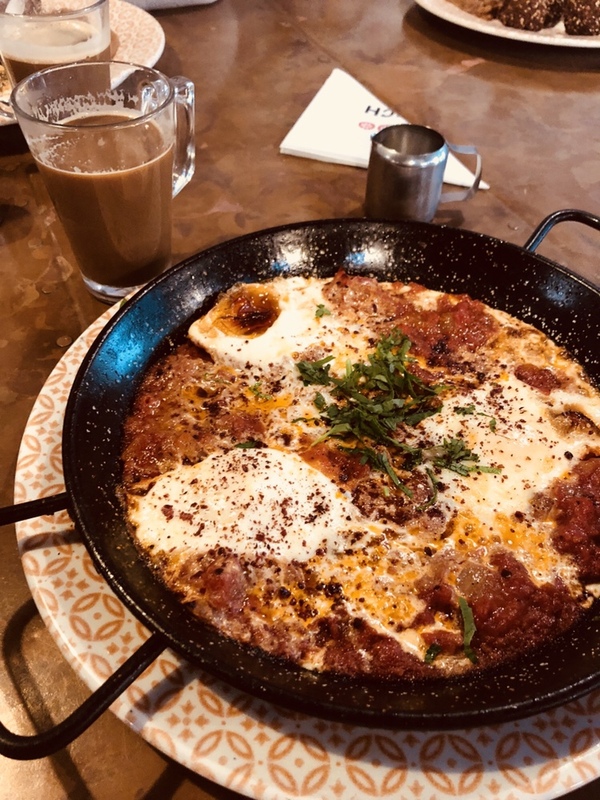 The friends I was with both sampled the Arabic breakfast which consisted of zaatar eggs, falafel, foul moudamas, labneh and Arabic bread – it looked wonderful, but didn’t quite tempt me away from my Shakshouka (maybe next time, though). There’s a range of drinks on offer, from mocktails and frozen yoghurt smoothies to a selection of coffee and tea types. There’s also their signature fruit juices – the apple, lime, and mint juice is particularly lovely and refreshing and a personal favourite. Aside from their breakfast menu, Bakchich also have a main menu for lunch or dinner. I’ve always been too full to try their desserts so I’ll have to leave that to the imagination but the mezze and mains I can speak for! Collectively we’ve sampled the zaatar fries, hummus, arabic bread, lamb and chicken shawarma wrap, and the lamb kofta. I can safely say it was all absolutely yummy and I left Bakchich by practically rolling down the street, and nursing quite the food baby. 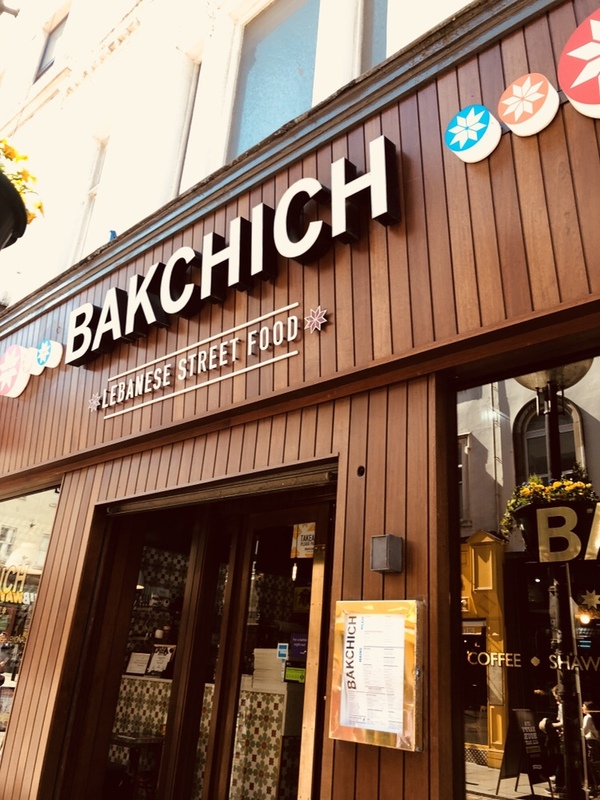 If you’re worried about trying anything, Bakchich is the place to do it because it’s not snobby or pretentious and there’s no hurrying from the servers to choose your meal or to hurry up eating, pay, and leave. 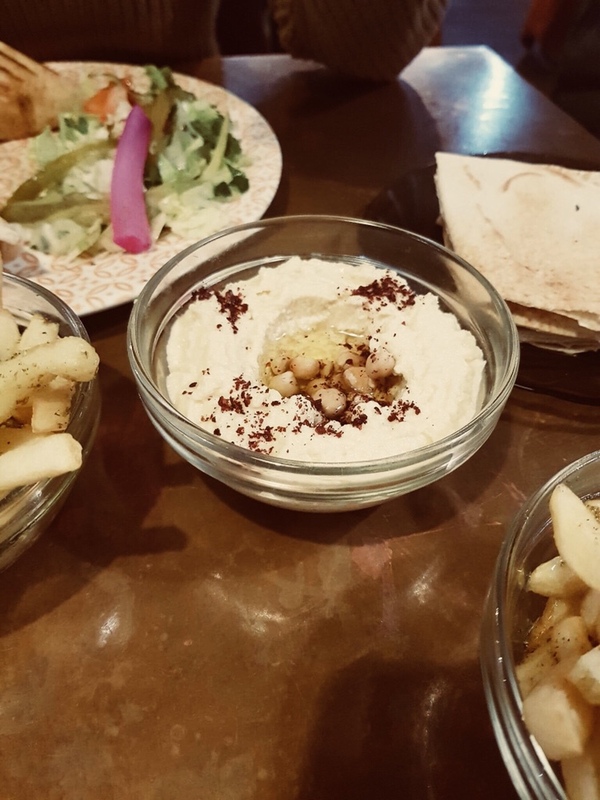 There’s definitely time to turn it into “tapas” if you wanted to and get different dishes to try between a group of you – it’s certainly the right atmosphere for that kind of collective dining and enjoying of food that Bakchich just seems to somehow radiate. 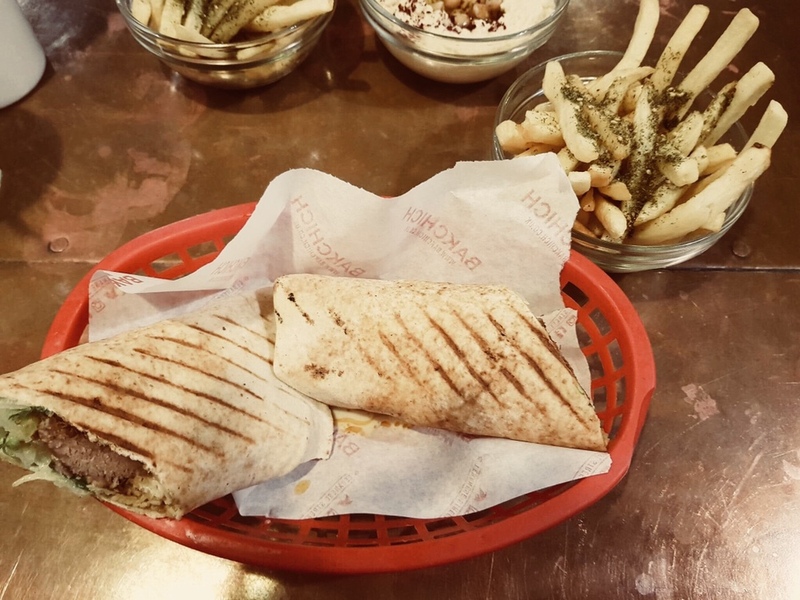 If you’re uncertain about Lebanese food – and/or if you haven’t tried anything more complex than the occasional falafel or hummus – I’d highly recommend the sort of street food served up via Bakchich for a no-pressure, low-key environment that just serves super tasty food at very reasonable prices. This definitely made me hungry! Lovely post! Haha, my work here is done. 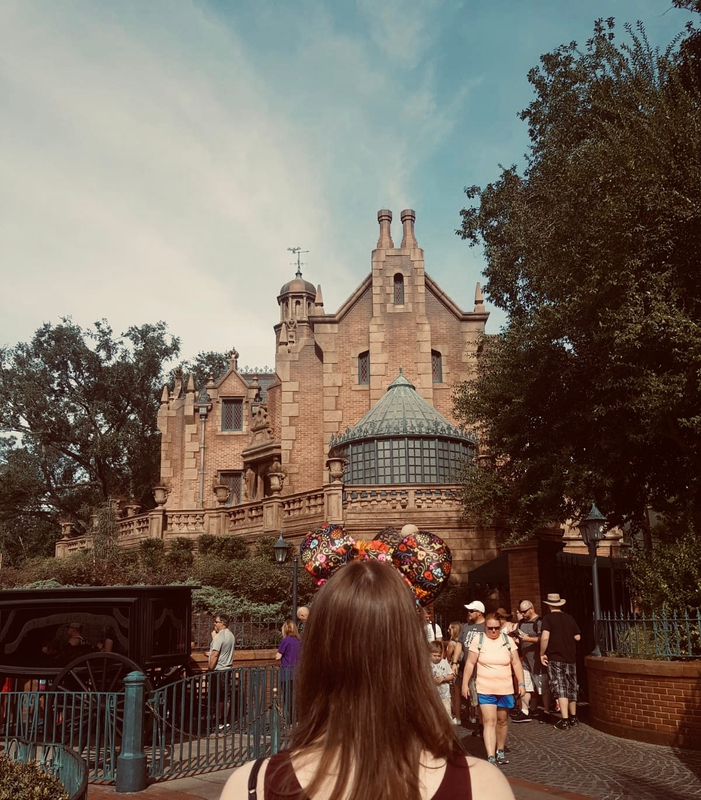 :P Thanks so much for reading and commenting!